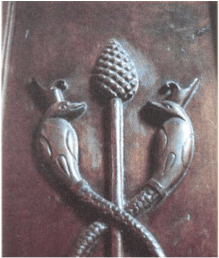 As mentioned in earlier Blogs, the pineal gland has many interesting and curious connections to spirit. Often called the ‘Third Eye’ this small endocrine gland, buried deep in the center of the brain, has become the focus of many masters and shamans of the past. It has been claimed to be the ‘principle seat of the soul’, playing a prominent role in the mythology of the Egyptians, Tibet Buddhists, Roman Catholic Church, philosophers, scientists and even the founding fathers of the U.S.A. Some say it is the Holy Grail. The pineal gland has light receptors (similar to our eyes) creating insight into our ‘mind’s eye.’ It appears to have a connection to dreams, hallucinations, near death experiences, abductions and even visions. But what is its connection to spirit or other dimensions? Being similar to a pinecone in shape (thus its name), the pineal gland is constructed in a three dimensional Fibonaccian spiral (that is close to a Golden Mean spiral). This shape in sacred geometry is considered a portal system onto itself, helping a person transcend dimensions in many mystery schools. A prime example of this is the mystical group called the Sufi. 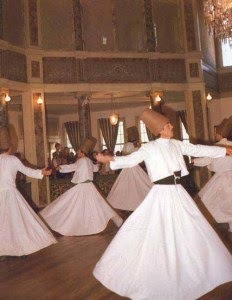 They do a spiral dance to get close to God and the heavens. 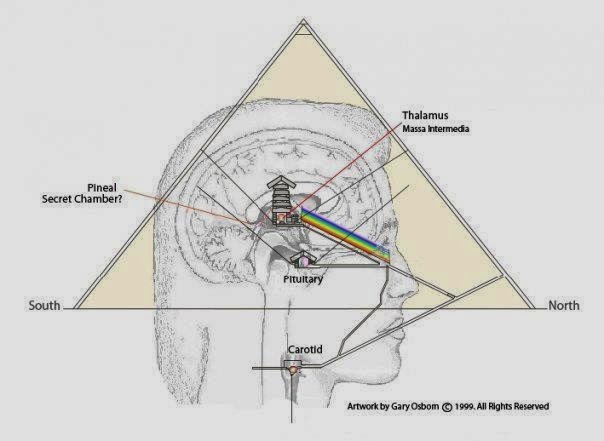 Inside the pineal gland not only do we find the manufacturing of several ‘mind altering’ hormones such as melatonin, serotonin and possibly the psychedelic dimethyltryptamine (DMT), we find extremely coherent water with piezoelectric crystals. 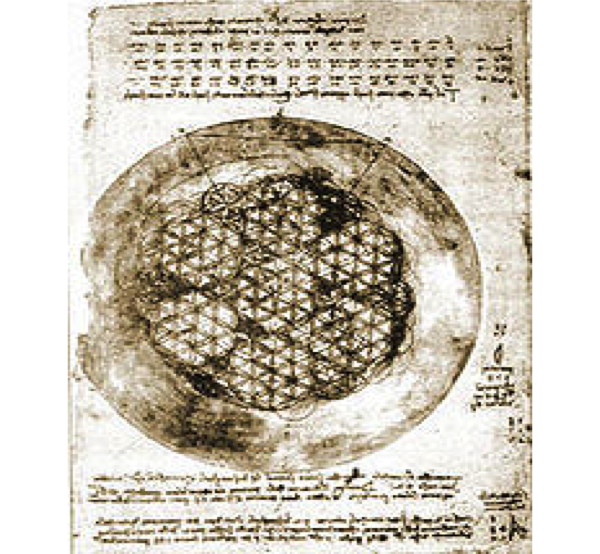 This extremely coherent water, encased in a sacred geometry chamber, has deep interest to us. The piezoelectric quality of this chamber is a great candidate for an event horizon to project us into other dimensions. This could be a connection to many things including: dreams, astral projection, remote viewing, visions and even the connection to higher self, the soul/spirit worlds. Some authorities have gone as far as calling it a Star Gate. It certainly has the mythos of several religions, but now it appears the science and anatomy confirmation of this is being teased out of the literature. As we have mentioned in other blogs, coherence is a very significant transfer system of information. Coherence is a great storage system, like computer chips, hard drives or even the Mayan Crystal skulls. Psychics, seers and visionaries in many cultures throughout time have used it. This coherent water in the pineal gland might be the master event horizon, but there are other places in the body that have coherent water. Dr. Stuart Hameroff, Professor of Anesthesiology at the University of Arizona, has put forward a theory. He believes the microtubules which are part of the cytoskeleton of cells, can — at least in brain neurons — be the connection between the body and consciousness. Many feel microtubules throughout the body also have this connection. It appears this coherence of water ‘communicates’ at the quantum level to the quantum field. 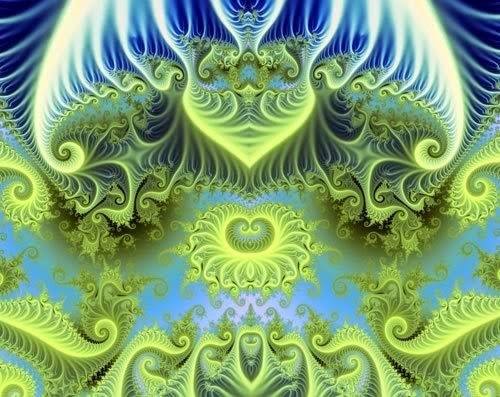 In other blogs we have looked at this quantum field, (or Divine matrix, Noosphere, Source Field and many other names). 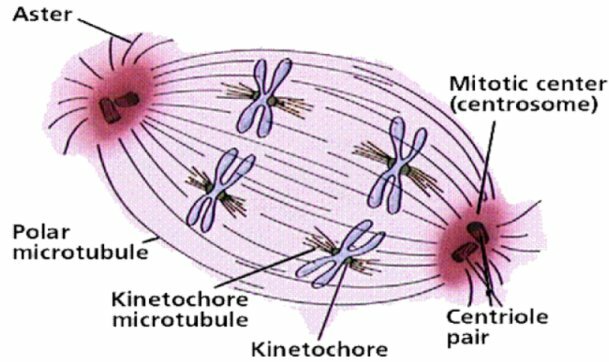 At the core of these microtubules in the cellar matrix are centrioles, which control mitotic cell division. 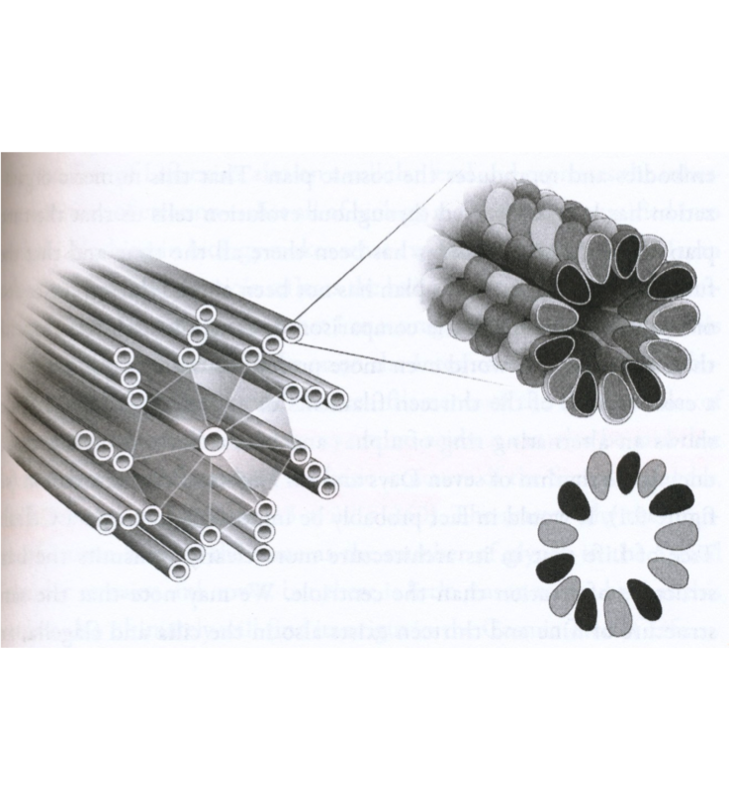 Many researchers have contemplated these microtubules as part of a portal system. 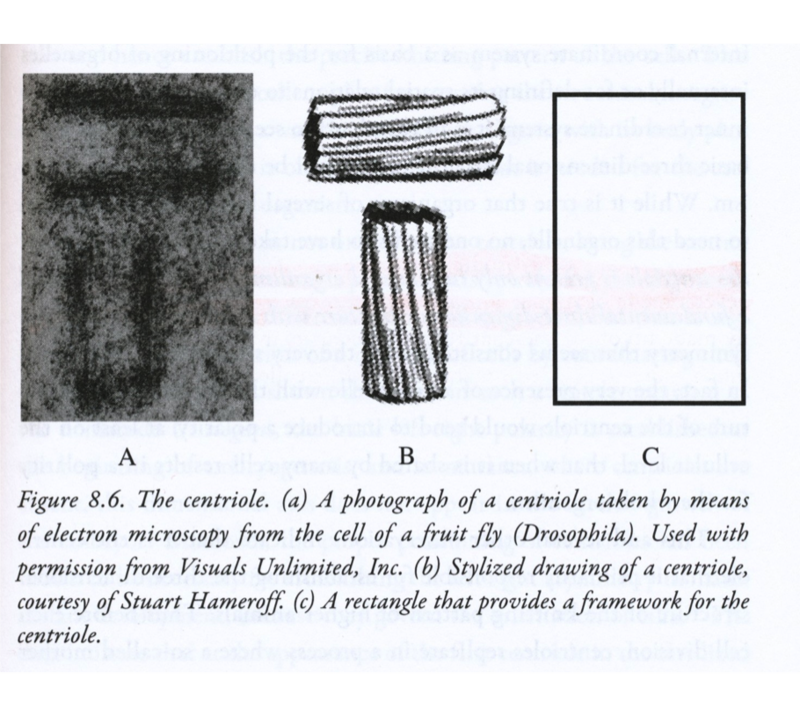 Most specifically Dr. Carl Calleman in The Purposeful Universe, put forward a thesis that not only are centrioles an important part of this fractal relationship and portal system, they are contemplated heavily in ancient Mayan Myths. 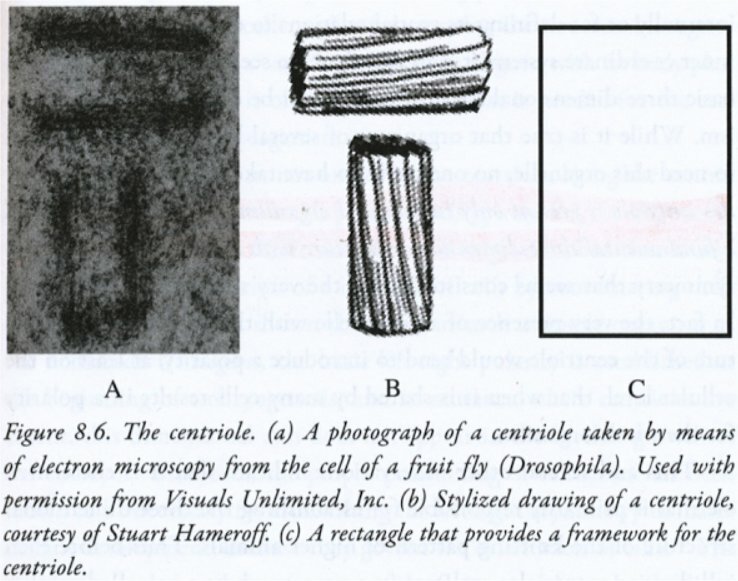 He points out that the centrioles are one of the few places in the body that both circles (non-linear) and straight lines (linear) come together. 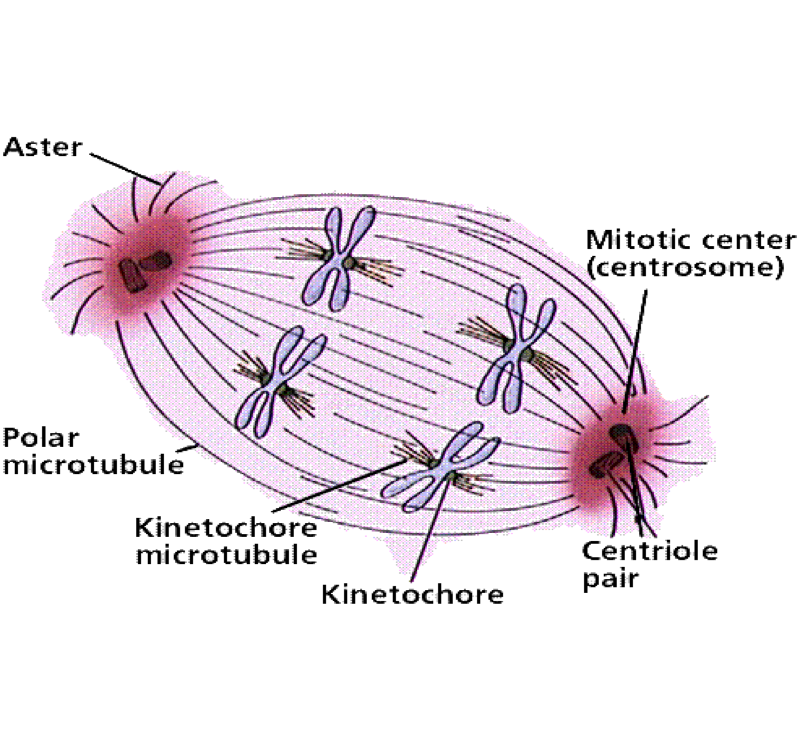 The two centrioles are a 90o to each other, this being significant from both sacred geometry and esoteric lore. This figure shows up as a “T”, a very important symbol to the Maya, as it is how man came into the earth plane. 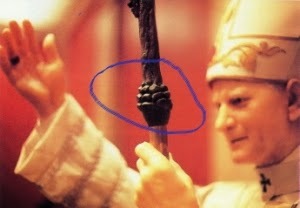 This connection can also be seen in at least one Renaissance painting of the Christ Child. 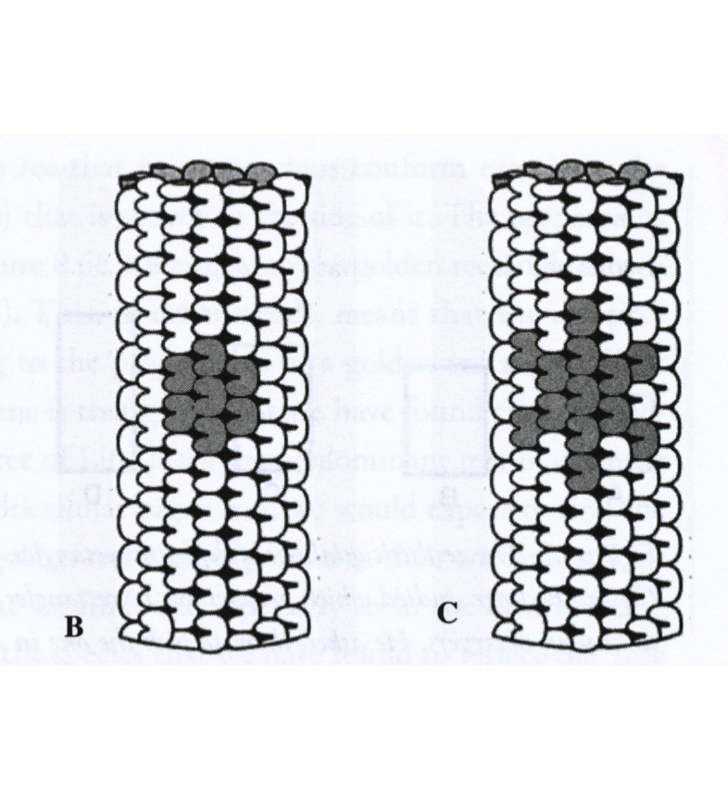 The end of a microtubule has 13 amino acids, which Dr. Calleman says represent the sacred 7 days and 6 nights of the important Mayan week. He goes on further to state that, the number of different amino acids being 20, which completes the calculation of the sacred Tzolkin Calendar of (13 x 20 =) 260 days. 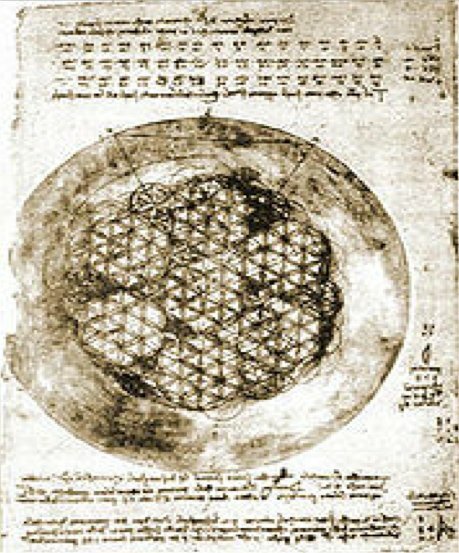 Embedded inside the arrangement of the amino acids can also be found the Flower of Life and the Seed of Life, so important to sacred geometry and the teachings of Drunvalo Melchizedek. 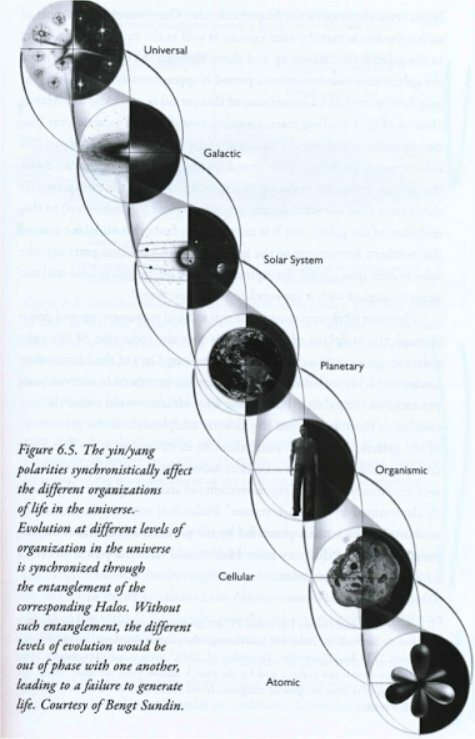 Dr. Calleman goes on to show how the spiral shape of DNA has a fractal and Halographic relationship with atoms, all the way up to the Universe. A Halo is the organization of the Universe, with this showing up as a spin, creating a Tree of Life relationship. Of course there has to be coherence for all of these parts (Halos) to communicate. 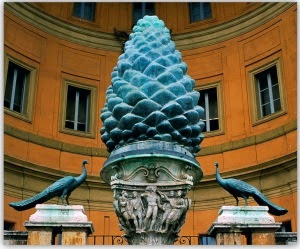 The Pineal Gland spiral pine cone shape makes it the master event horizon. Some have gone on to suggest that this might be the core of teleportation technology in the future. Beam me up, Scotty. 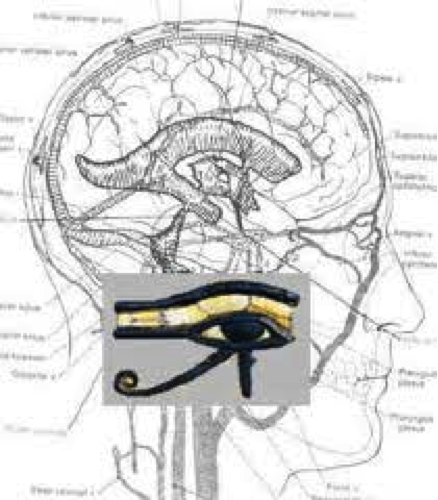 The sum of underlying evidence points to a strong reason for why people who are interested in spiritual development, lucid dreams, or deeper understanding of the connection to higher self/spirit, may want to activate the pineal gland. This is not a new phenomenon. 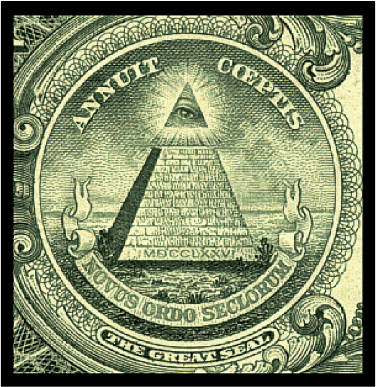 Mystery schools from the Free Masons to the Egyptians, Shamans and Tibetans and various esoteric groups, such as the Druids, have found rituals and techniques to stimulate the Third Eye, or pineal gland. Just as the pineal gland appears 21 days after conception, many feel the process of awaking the pineal gland should take a minimum of 21 days. One of the techniques I have found very useful is Alexandra Luppold’s Dolphin Sun Activation Workshop, which takes a little over 21 days. This process goes through a personal clearing, followed by 21 days of guided meditations. There are many other techniques that have been used, including Tom Keyon’s Pineal Dimensional Attunement, given to him from the Hathors. There is an interesting and very economical downloadable book, Pineal Gland and Third Eye: How to Develop “Conscious Self” Psychic Abilities [Kindle Edition], by Dr. Jill Ammon-Wexler. It goes through 15 ways to activate the pineal gland. I still feel the 21-day guided meditation technique is the best, but there are many ways to enhance this process. In some cultures, it has traditionally been considered that a person is not even ready for marriage until their third eye is open. This is to say, they are going into this new relationship with their eyes wide open. An artifact of this practice can be seen in modern day India culture, where a woman will often wear a bindi (a dot or sticker) on her forehead to cover the third eye area. You will also see both males and females in several cultures painting over their third eye as part of sacred ceremonies. We looked at some of the many connections for this small gland and spiritual development. From being called the ‘principle seat of the soul’ to the ‘Third Eye’, we saw how many mystery schools, religions, cults, philosopher and even politicians have viewed this hidden gland with reverence and even ah. Some have gone as far as calling it a star gate to other dimensions. 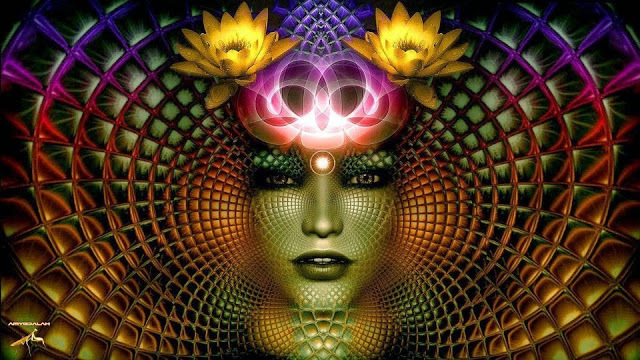 It appears that coherence of the crystals and water inside the pineal gland, as well as other places in the body, plays a large role in it function as a portal system to lucid dreaming, psychic events, vision and possible spiritual evolution. What, if anything is holding us back from this coherence? 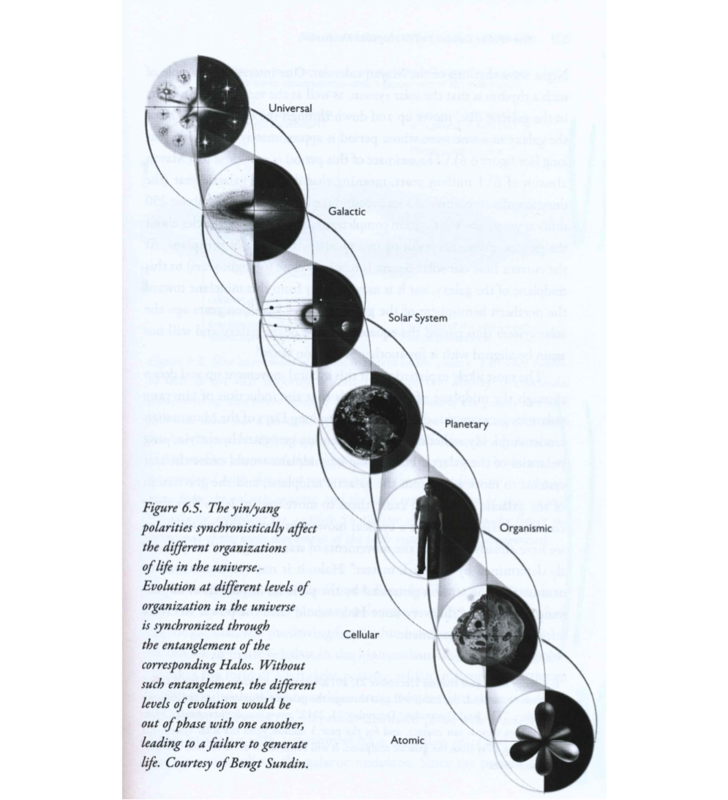 How can we activate this coherence? There are many things that might keep us from Pineal Gland coherence. Here are three. General over all poor health. Lack of (or too much) focus in ones life. Calcification of the pineal Gland. The Pineal Gland is almost like the bubble in a level. If life (physical, emotional, mental or spiritual) is out of level, the bubble is not in the middle and therefore coherence cannot happen. To have the Pineal Gland balanced and coherent, one has to have their life in order. This is not to say that sometimes a person will not have a vision when in poor health, as this sometimes happens. These incidences are not sustained coherence. Interestingly, lack of and too much focus seem to cause the same problem with the Pineal Gland. Again, it is all about balance. As suggested in earlier blogs, too much focus can cause health issues like Multiple Sclerosis (MS), also most often having calcification of the Pineal Gland. Coherence cannot happen unless a direction of focus is maintained, but not too fanatically focused on. So the lesson here is almost a soft fuzzy focus in the direction of the intended coherence. It is similar to why a person has a hard time seeing an aura if they look too hard at a person; only perceiving them when they kind of get a fuzzy focus (out of the ‘side of their eyes’) look at a person. Coherence comes with just the right amount of focus, not too much, nor too direct, but just right. It is a feeling, a state of mind, or field, more than pure hard work. It is something that comes with practice — a Zone. Meditation is one of the best things to aid in obtaining that zone of feeling. Two other ways to lighten up ‘too much focus’ are laughter and hugging. Laughter is still one of the best medicines of all, as it creates that soft fuzzy feeling around everything. Hugging can give us strong surges of oxytocin, which bonds us and make us feel good all over. It relaxes the stiffness in a person, breaking down strong boundaries or even barriers. Of course this is another area ripe for Flower Essence. Even though, it appears that calcification of the pineal Gland is a natural process of aging. Many are starting to question this. There are many younger people that have more calcification then older people in recent years. Again meditation, yoga, Tai chi, Qi Gong, will aid in keeping this area flexible. Visualization, vision seeking, lucid dreams, guided meditation all will help this area. Remember in the last Blog we showed how guided meditation could help activate the Pineal Gland. There has been lots of research released since Dr. Jennifer Luke from the University of Surrey in England in 1997 found that fluoride could cause calcification of the Pineal gland. Animals treated with fluoride not only had lower levels of melatonin as expected, but female animals experienced an early onset of puberty. Due to the interference of melatonin production in the animals in response to the fluoride treatment, the hormonal triggers that are responsible for puberty were disturbed. This is something we are seeing quite commonly in North America young girls these days. It is amazing that the medical (and dental) communities are so resistant to connecting the increase of cognitive decline in adults (Alzheimer’s and various dementia’s), and behavioral issues in children (ADD, ADHD, depression and learning disabilities of all kinds) with calcification of the Pineal Gland and fluoridation. 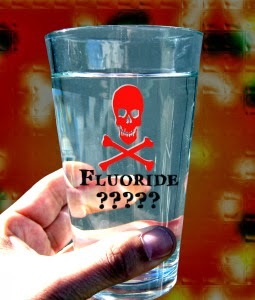 There have been over 23 human studies and 100 animal studies linking fluoride to brain damage. It is not new information, as some of the first papers were written in the Journal of the American Medical Association in September of 1943. Still a very high percentage of North American drink fluoridated water and get fluoride treatment to strengthen their teeth. Many feel that the whole fluoridation process was a con, to get rid of large amounts of waste products from both the Aluminum and radiation industries. Be it as it may, taking in Sodium Fluoride seems not only to be detrimental to your health, it may keep you from experiences your higher self. Interestingly even though Sodium Fluoride seems to be a problem, taking Calcium Fluoride in the form of a tissue salt (Homeopathically 12x) can decrease calcification of soft tissues, including the Pineal Gland. It is also used to make a person more flexible. The fluoride question goes even deeper though. One of the most common drugs used for depression in the past has been Prozac (Fluoxetine). It is a selective serotonin reuptake inhibitor (SSRI), which has fluoride as a major component of it. Prozac is approved for the treatment of major depression (including pediatric depression), obsessive-compulsive disorder (in both adult and pediatric populations), bulimia nervosa, panic disorder and premenstrual dysphoric disorder. Over the last several years I have had many patients tell me the same thing about Prozac. Yes they were less depressed, but they felt cut off from their spirit, their deeper self. When you hear the same thing said by many unconnected people over several years, it is easy to see a pattern. Looking at the molecule of Prozac, you can see the three green atoms of fluoride. These seem to aid in at least blocking this portal system and most likely calcifying the Pineal Gland. These patients were coming in for something that would help reduce their depression, but still help them maintain the deeper connection with themselves. Fortunately with medicinal mushrooms and Flower Essences we could almost always assist them in going off the SSRI, without having rebound depression and help them feel more connected again. This of course points firmly again to the fluoride blocking the flow of energy through the Pineal Gland, as well as causing calcification. 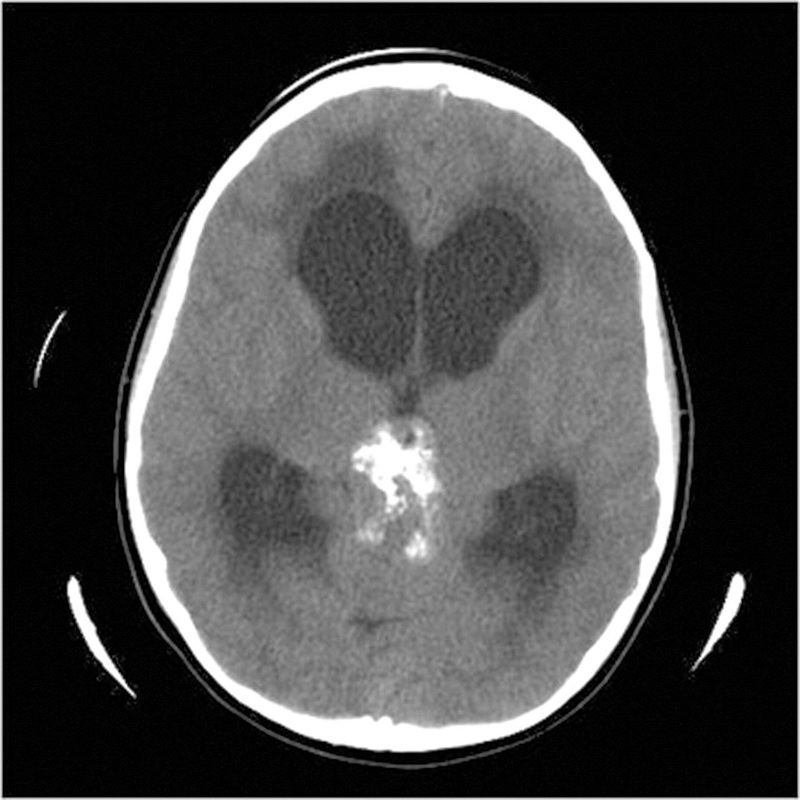 There is some evidence that Aluminum oxide can increase calcification of the Pineal Gland. There are many sources of aluminum exposure including aluminum cookware, anti-perspiration cosmetics, and some people even contend Chemtrails. It seems prudent to reduce this exposure as much as possible. Inflammation in the body, especially inflammatory autoimmune issues such as Rheumatoid Arthritis and Lupus appears to increase the rate of calcification of soft tissues in the body. So one possible way to decrease calcification would be by trying to decrease inflammation using supplements. A C-reactive protein blood test can measure your level of inflammation. High levels are considered to be markers for heart disease as well as chronic autoimmune disorders. Supplements that are considered to be effective against inflammation include Devil’s Claw, Turmeric, Stinging Nettle, Fish Oil, Medicinal Mushroom, Protolithic enzymes, homeopathics and others. Again it is important to realize that some of these autoimmune diseases are the direct result of living life out of balance. When ever possible, we should try to balance out life, maybe by spending a bit more time in nature or a holiday and meditation. Diet, and D-toxing can be a big equalizer here, by eliminating acid forming foods, dairy, flour and sweets out one life for a while. We have already looked at things to avoid and a few supplements above that might aid in this process, but what else can be done? In earlier blogs we discussed Guided Meditation like Alexandra Luppold’s Dolphin Sun Activation 21 day Workshop , and Tom Keyon’s Pineal Dimensional Attunement, given to him from the Hathors. But there are other things that seem to aid. One of the vitamin supplements that seems to aid in this process are the Folates, as in the form of Folic Acid. It is interesting that a fetus has a high need for folates during the period of developing the neural tube and the Pineal Gland after the 21st day. It seems that the minimum is 1 mg daily, but 5 – 40 mg seems even better. This is in the same dosage range we use to reduce restless leg syndrome (often considered a lack of being grounded). The best form to take the folates though is in the form of Metafolin (L-5-MTHF). Metafolin is the natural form of folic acid used at the cellular level for DNA reproduction, the cysteine cycle and the regulation of homocysteine among others. The body can directly uses it; instead of the 5 — 8 chemical steps that folic acid has to go through to be useful. Contrary to some popular opinion, taking Melatonin does not help this process; in fact it appears to reduce it, creating a dependency. I am not talking about the occasional use of melatonin; I am talking about its use on a regular basis. Only use it when having jet lag, or to help readjust circadian rhythms. It still appears that regulating sleep patterns to be closer to natural cycles (not staying up late under synthetic lights and raising with the sun) is the best way to work with circadian rhythm and to aid in your own production of melatonin. Spend time outside in natural sunlight when possible. In the winter we have employed light therapy in the morning (20 – 30 minutes) for seasonal affective disorder (SAD), along with Flower Essences, Saint John’s Wort and medicinal mushrooms. This is not to say that melatonin is not important. Many people feel it is one of the more important hormones to have activated in the 2012 – 2013 cusp time. In fact some point to the crop circle found almost a year ago on July 23, 2011, at Roundhill, Willshire, England. It appears to have the shape of the same chemical structure as melatonin. Does this mean that there is someone out there, wanting us to focus on melatonin, or its place of manufacture the Pineal Gland? Green foods, especially supplements like Chlorella can also be useful here. I suggest 1 – 4 grams daily. The following items are things to implement, or take to aid in increasing coherence and activation of the Pineal Gland. General over all poor health. Keeping in a good general state of health. Eating and living in balance with nature as much as possible. Flower essence, Medicinal Mushroom; to balance out focus and used in many of the other area of activation. Calcification of the pineal Gland. Reduce with implementing the following protocols when appropriate. Reduce use of fluorinated water, or drugs that contain fluoride. Balancing out ones life by spending more time in nature, Detoxing and eating better. Reduce melatonin and replace with the following when appropriate. Spending time in Sunlight. Readjust ones life closer to the sun cycles. This exceptional article on the pineal gland was written by Dr. Terry Willard, world reknown leader and pioneer in the field of herbal medicine. You can visit his website here.